Does anybody know the prototyping story of a common household item that took everyday US household by storm? Every family bonded over cracking the Rubik’s cube, with both kids and adults spending endless hours in their engaged efforts to crack the pattern recognition puzzle. The inventor: Rubik Erno. Rubik Erno wanted to create an object that seemed to defy the laws of possibility; he wanted a structure which, whilst staying held together, had movable independent parts that could be manipulated and have their positions changed. 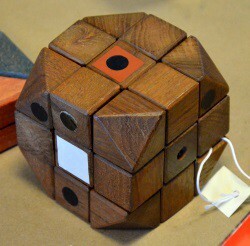 Original images such as the fairly unstable looking 2x2 puzzle above surfaced as Rubik’s first attempt at accomplishing his goal. The first types of cubes he created were simple wooden blocks that were held together with rubber bands and paperclips. 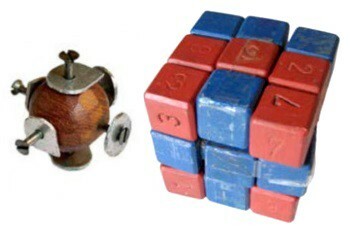 In fact, another man by the name of Larry Nichols had already invented a 2x2 puzzle which had a much simpler design; magnets were used instead of rubber bands and paperclips. This meant that the puzzle could be separated into its 8 blocks quite easily, making it fairly unstable. 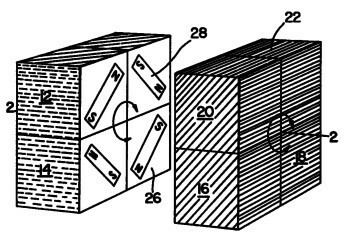 The patent for this original 2x2 cube was filed in 1972, two years before Rubik invented his own 3x3. Rubik’s recognized the gap in simplicity and completion of the production. This realization enabled Rubik to make the 3x3. With a more stable core, Rubik was able to construct a cube that could be moved and twisted fairly independently. The final Rubik’s Cube prototype was created in 1974 with signed patents with Ideal. This prototype was a much smoother version of the chunkier original prototype, and the corners were cut. 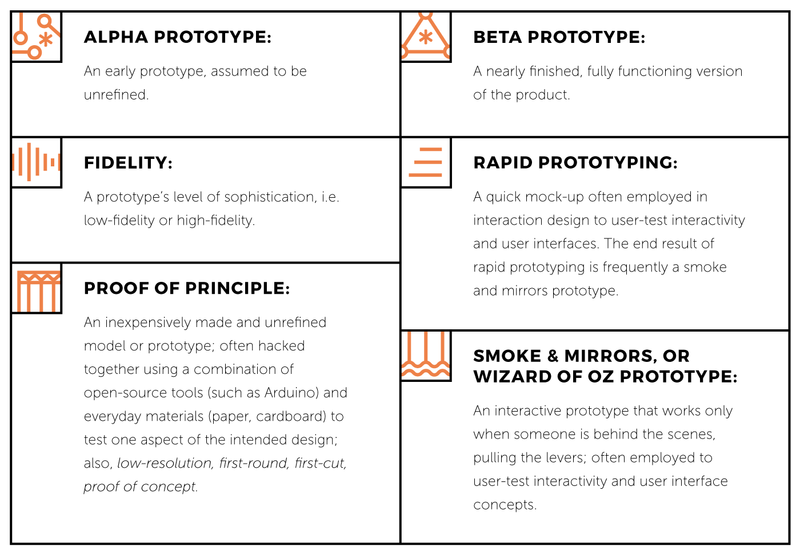 Arguably the methodology that you employ to design your prototype depends on the size of the team, stage of idea, project budget, representative stakeholders and launch timeline. Teams invest more time in refining the fidelity based on the complexity of the idea. Undoubtedly, the most popular methodology for uncovering which idea to work on is the Google Design Sprint. The sprint, used by the likes of Foundation Medicine and Flatiron Health, is a five-day process for answering critical business questions through design, prototyping, and testing ideas with customers. Developed at Google Ventures, it represents a mix of business strategy, innovation, behavior science, design thinking and collaboration. On Monday, you’ll map out the problem and pick an important place to focus. On Tuesday, you’ll sketch competing solutions on paper. On Wednesday, you’ll make difficult decisions and turn your ideas into a testable hypothesis. On Thursday, you’ll hammer out a high-fidelity prototype. And on Friday, you’ll test it with real live humans. Minimal versus Simple: Minimum implies you have found a way to marry your timelines with customer validation via a tangible raw prototype. But MVPs do not always engineer for efficiency and user interaction. As seen before, Larry Nichols had a product that was more minimum and low fidelity than Rubik Erno. But it was low grade and inefficient compared to Rubik’s alternative. Another example is Google Docs. Docs had 3% of the features of Microsoft Word at the time of its launch. However, customers accepted Docs’ simplicity because they did not promise more than they could deliver. Viable versus Lovable: A common conundrum around prototyping is “A prototype was designed to test. With the constraints of an MVP, how can it be lovable?” The Darwinian success loop of a product is a function of love, not of features. Viability entails survival and revenue models evolve with further testing/ pivots. Love is defining and longer lasting. Love entails an affinity for the concept that creates a healthy intersection of affection for the utility, product and brand. Simple hacks around creating lovability lie around elegant UI, delightful UX, creative messaging, exclusive “demo daying” or memorable videos that can explain your service/ product. Completed versus Complete: The difference between completed and complete is that complete does not entail further additions for someone to adopt, love and use organically. Completed usually entails the delivery versus understanding what would complete mean for the customer. A classic example more recently is the Swell water bottle that has organically grown into a product powerhouse with revenues north of USD 100 million. Simple, sleek and chic, Swell makes water bottles contemporary and complete, not by over engineering features, but by understanding that a bottle is complete if it can satisfy other intangible customer needs (in this case, a coolness factor that aligns with the utility of carrying water at the right temperature, something discovered in effective customer development by founder Sarah Kauss). Product frameworks will continue to evolve as more products emerge. It doesn’t mean that you have to compromise being lean and agile. It means you have to optimize for customer experience, in this case, making products SLC. Nimay Parekh is a TEDx speaker, award winning entrepreneur and specializes in topics related to product & growth using AI.